Parboiled Sharbati Rice is a widely preferred meal of middle class families. 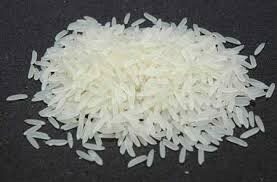 We are an eminent Manufacturer, Supplier and Exporter of Parboiled Sharbati Rice from Kurukshetra, Haryana. The Parboiled Sharbati Rice that we offer is processed in accordance with the set quality parameters of food and health industry.